Xbox maker hiring to make better-looking and more feature-rich avatars for Xbox One and other devices and platforms. According to a pair of recently discovered job ads, Microsoft has big plans for avatars on Xbox One and other Microsoft platforms. Avatars were first introduced on Xbox 360 more than six years ago, but now--as a result of the "power of Xbox One"--Microsoft has outlined plans to update avatars for a new generation. DualShockers spotted two Microsoft Xbox software engineering job postings (here and here), both of which speak to Microsoft's new ambition for avatars. "As we cross the threshold to a unified operating system and product experience across Microsoft, it is time to for Xbox avatars to also advance to the next level," reads a line from the first job requisition. "Come with us, as we take Xbox avatars on their biggest adventure yet with higher fidelity and a bigger stage in new Xbox experiences." A successful candidate will help Microsoft "grow the avatar platform across all of our platforms, leveraging the power of the Xbox One, the far reach of Windows, and the intimacy of touch on mobile devices." This person will also work to ensure that Avatars not only look great, but are also "highly performant" across a range of devices, Microsoft says. The "unified operating system" referenced above sounds a lot like Microsoft's Windows 10. If avatars are to play a role in the new OS, we might hear about them later this month when Xbox boss Phil Spencer speaks at a Windows 10 event that promises to have some gaming news. 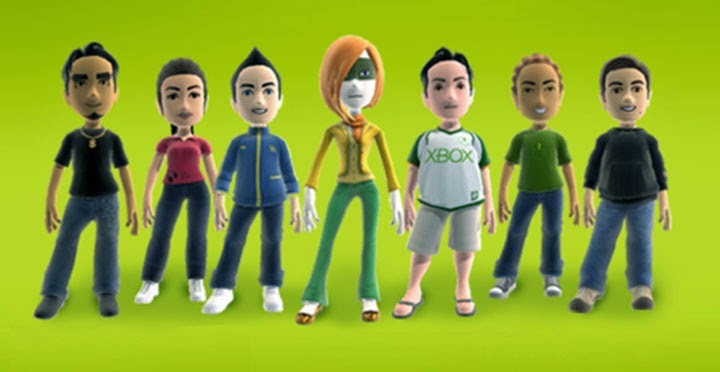 Microsoft first introduced avatars on Xbox 360 in 2008. The premise is that you can create your own virtual self, complete with a wide variety of hairstyles, clothes, and accessories. Microsoft even sells a range of extra avatar content from the avatar store, including materials from real-world non-gaming brands such as the NFL, My Little Pony, and the United States Armed Forces.